Most punters are greedy. Many traders are too. This greed clouds their view of what to realistically expect in return for their trading. Many traders, most perhaps, spend virtually no time on the selection process and lack the knowledge needed to back up their trading decisions. They just trade the favourite by the seat of their pants with no chance of being successful with any consistency. The main difference between traders who profit regularly from racing and those that don’t is successful traders invest lots of time and energy into learning what works and just as importantly they know what to avoid. 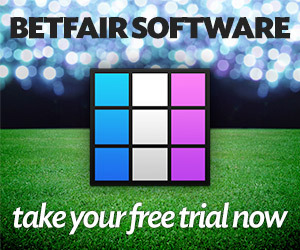 There are many strategies and tactics that you can use to profit from trading on Betfair. The key to success is learning to know which strategies or tactics to employ on which types of races. Many traders trade badly because they fail to learn from past mistakes and continue to make the same stupid mistakes over and over again. You should always try to improve your performance and keeping good records will help you to do this. I have learnt to control my emotions because it’s one of the main ingredients to trading profitably. Once you do so, you will look back at your previous bad trading habits and it will become very clear why you lost most of the time – lack of emotional discipline.